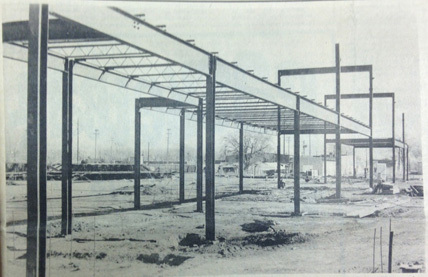 Looking back 40, 30 and 20 years ago, the following are excerpts from the Artesia Daily Press from Dec. 25-31. Artesia Public Schools district voters will have a choice of four candidates from which they will pick two school board members on Feb. 1. At 5 p.m. Tuesday, the deadline for candidacy filing, two persons each had formally filed for the two board vacancies. Incumbents Dr. Glenn Stone of Artesia and George Casabonne of Hope both announced they would seek reelection on Dec. 13. Last week, Artesia pharmacist Lowell Irby filed his candidacy in opposition to Dr. Stone for the 1 board seat. And Tuesday, Mrs. Mary Black of Artesia filed to oppose Casabonne for the position 2 seat. No other persons met the Tuesday filing deadline. School board members whose terms are not up for election are Dr. James Gaba, Don Brewer and Allen White. The Eddy County grand jury filed its interim report Wednesday afternoon, condemning both the Artesia and Loving city jail facilities. The grand jury, which convened Dec. 9, also reported it has heard testimony from 72 witnesses and has returned nine true bills and two no bills. New Mexico Class 3A prep football powerhouse Artesia dominated the South, while Albuquerque Del Norte led the North in players selected for the 1977 North-South All-Star football game. Artesia, which nailed down its third consecutive state championship this year, will be represented by quarterback Jerry Brown, guard Randy Hill, wide receiver Corey Tolle, and running back James Baker. Thomas E. Brown III has become an associate attorney with the Sutin, Thayer and Browne law firm in Santa Fe. Brown joins one of New Mexico’s largest law firms, which has offices in Albuquerque, Santa Fe and Las Cruces. A native of Artesia, Brown received his J.D., with honors, from the University of Texas School of Law at Austin in May 1986. He received the Law School’s Achievement and Law Week awards, among others, and was invited to join the Phi Delta Phi fraternal law society. Prior to joining the Sutin Firm, Brown participated in Sutin’s Summer Law Clerk program in Albuquerque and Santa Fe, gaining experience in the tax and securities areas of the law. As the firm’s newest associate, he will be responsible for commercial matters. Eddy County Sheriff’s Office deputies followed footprints to a home where they recovered $1,300 worth of items stolen from the Artesia Alfalfa Growers Association mill store on Industrial Park Road. Artesia High School’s boys’ varsity basketball team survived a shaky first period to eventually post its first win of the 1986-87 season Tuesday. Coach Jim Wilburn’s team stopped Lubbock Cooper 61-54 in the second round of the Third Annual Wildcat Classic Tournament in Lovington. The Artesia varsity girls’ basketball team got over an early first-quarter scoring slump and went on to thump Roswell High 71-51 in their first game in the Goddard-Roswell Invitation Thursday night. Artesia coach Don Shell said his players had trouble for about the first five minutes of the game. He called time out and the team regrouped, then never looked back. Artesia High School senior, Paul Maupin, who threw 44 touchdown passes this past season, on Thursday was named the first-team quarterback on the 1996 Associated Press Class 3A All-State Football Team. Joining Maupin from Artesia are Kirk Robbins, wide receiver; Michael Rogers, tight end; Gregg Molina, defensive lineman; Josh Miller, wide receiver; Chris Olivas, running back; Joseph Araujo, defensive lineman; honorable mention offense, Kane Horner, offensive lineman; Jimmy Hamilton Jr., linebacker; John Calderon, defensive back; and Gabriel DeHoyos, punter. As reported in the Pinon News: The weather has been cold here from Monday night until Friday when it warmed up some. Several families have frozen water and have been working to try to get the lines thawed so as to have water in their homes. They have also been chopping ice on the water troughs. The ice has been about three to four inches deep, making it very hard to break the ice so the cattle and horses can drink. The temperature was zero from Monday night until about noon Friday. Mrs. Mary Anderson and Robert Bell reported 12 degrees below zero two nights. Friday it began warming up to 50. Mrs. Dulce Stevenson reported she thought her water line was frozen from the well to all over the pasture where they had tanks and water troughs. Mrs. Farrell Van Cleve reported their water was frozen one morning but they got it going up in the day.